This was taken back in December, 2010 with a Panasonic Lumix LX-3. But doesn’t the LX-3 have a very limited zoom range you may ask? And you’d be right – it does. This picture was actually taken in the parking lot of a Sams Store near where live. Garbage was strewn around and this had attracted this flock of seagulls. They were quite close to the ground and didn’t seem to have much fear of the people. 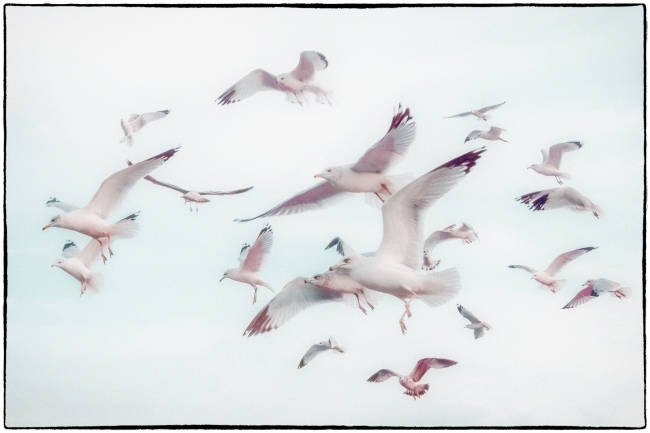 As they hovered in the air just over my head it was pretty easy to capture a bunch of them – even with the LX-3. And aren’t seagulls supposed to be near this sea. This was taken about five miles from the nearest body of water (The Hudson River).